What do rights have to do with food security? Canadian Feed The Children (CFTC) has been working with Indigenous leaders and their communities in Canada and Bolivia to address poverty and food insecurity for decades. Canada and Bolivia are home to diverse, vibrant and unique Indigenous communities with rich histories and promising futures. Indigenous communities in both Canada and Bolivia have faced significant challenges since the establishment of colonies on Indigenous territories by European settlers. The loss of land rights, outlawing of Indigenous practices and language, and discrimination towards Indigenous people have perpetuated a food security crisis with serious implications for health and well-being. Learning from our partners, CFTC knows that in order to address the complexity of food insecurity and poverty effectively, these realities need to be acnkowledged and solutions need to be community-led to help rebuild proud, Indigenous identities. “As an organization, we are working to support partners to reinforce the rights of Indigenous people,” explained Genevieve Drouin, CFTC’s Program Development Manager. Indigenous communities in Canada have experienced a tumultuous history since first contact with Europeans. The loss of land rights, outlawing of spiritual practices and languages, and systematic discrimination towards Indigenous people continue to contribute to the challenges faced today. The legacy of residential scho ols, where children were taken forcibly from their homes and placed in schools where they were physically, sexually and mentally abused, is just one example of the deliberate destruction of Indigenous culture, language and identity. These broken links included narratives and traditional practices for accessing food. 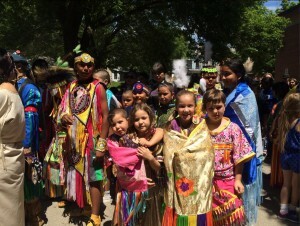 The children who were taken from their homes were not allowed to speak their language, participate in cultural practices, and had limited or no contact with family. 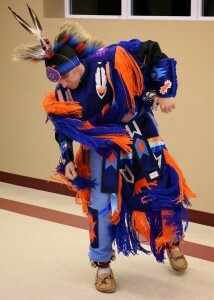 “The elders of today were yesterday’s residential school children,” Cheyenne Mary added. This significant loss in generational knowledge continues to impact Indigenous families in Canada today and communities are working hard to reclaim and pass on these traditional practices to their children. These injustices have been compounded by the ongoing loss of rights to traditional territories and resources, and the fear around engaging in traditional practices because of laws, regulations, and public opinion that have put significant pressure on Indigenous hunting and fishing. 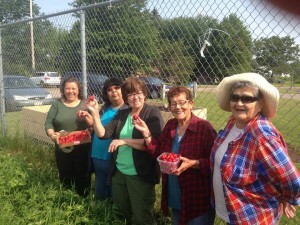 With the loss of traditional food access and practices, many Indigenous families turn to commercial grocery stores where they are often met with the high prices of nutritious food, particularly in remote areas. Without significant economic opportunity, or benefit from traditional territories’ natural resources, the cycle of poverty and food insecurity is difficult to overcome. All too similarly, the impact of colonization continues to shape the daily life of Indigenous communities in Bolivia. Despite their population making up more than 50 per cent of the country, Indigenous Bolivians were historically denied access to education, economic opportunity and political participation. “Indigenous people in Bolivia have a very sad history in terms of how they were treated in their own land,” Shirley Estevez, CFTC’s Bolivia Country Representative explained. For centuries they were forced to work for the descendants of European colonizers on their own traditional territories, often through enslavement or bonded labour. They were only granted the right to legally hold a land title in 1952 after a revolution. Today, this legacy continues to affect the lives of Indigenous people in Bolivia. With a stringent class-based society, Indigenous people face significant discrimination and are shut out of economic opportunity. Rural populations traditionally rely on subsistence farming, and while many are still living on traditional territories, seasonal variance and soil degradation makes it difficult to become food secure. The cost of healthy, fresh food is rising and is straining families’ abilities to provide nutritious meals for their children. Many Indigenous people move to urban centres with the hope of a better life, but without resources, they are often forced to live on the outskirts of cities in unsafe housing. Without land to farm, or jobs that allow them to adequately care for their families, parents must work long hours. With a lack of services available for Early Childhood Care & Education (ECCE) or after-school programs, many parents are forced to leave their young children unsupervised. The first president with Indigenous heritage was elected in Bolivia in 2006, which has helped push Indigenous rights to the forefront of Bolivian politics. Thirty-six Indigenous languages have now been formally recognized by the government as official languages of Bolivia. Despite these promising changes, the long-standing cycle of poverty and its impact on food security continues to affect Indigenous Bolivian families and their children’s quality of life. Canadian Feed The Children works in partnership with Indigenous leaders and their communities to help find culturally-meaningful solutions in both Canada and Bolivia. CFTC operates with the understanding that “to be a healthy community, you need to have a space to learn where you can be proud and have a healthy identity,” said Genevieve Drouin. Integrating traditional practices and narratives around food into our school nutrition and food programs has proven impact both in and outside of the classroom. 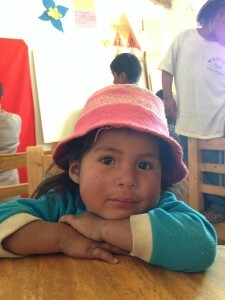 In Bolivia, CFTC’s p artners help to provide Indigenous families with ECCE and after-school programming, with culturally-appropriate nutritious food programs. By filling gaps in service for Indigenous communities, like quality education and nutrition for children, we are able to begin to address the inequalities they face. 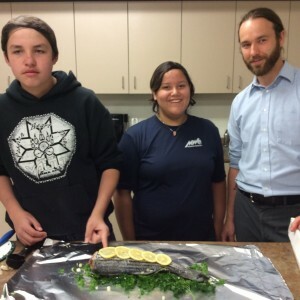 Similarly, CFTC’s Indigenous school food programs in Canada provide culturally-relevant foods, opportunities to pick and prepare traditional produce, and participatory learning experiences through school gardens. 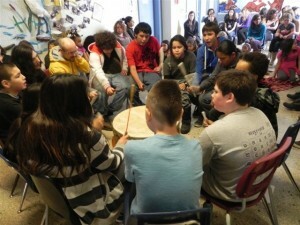 Through these initiatives, our partners help empower Indigenous children and their families to reclaim their heritage. Empowering Indigenous children to make informed decisions about their own nutrition helps guide their communities towards greater food security. Using student leaders to organize school and community activities has helped create a sense of ownership over both the programming and the positive results. In Natoaganeg First Nation School in Eel Ground First Nation, student leaders organize many nutrition-based activities and help to encourage their peers to participate and learn. In Sociedad Católica de San José’s programs in Bolivia, students are trained so they can advocate for their right to food in their communities and share their knowledge with others. CFTC’s programs in both Canada and Bolivia work to encourage inter-generational experiences to help build stronger communities and support the transfer of knowledge from elders to youth. “It is important for CFTC to partner in a way that honours those cultural practices, and helps to build pathways for elders and children to come together to live the culture and feel proud about it,” Cheyenne Mary emphasizes. 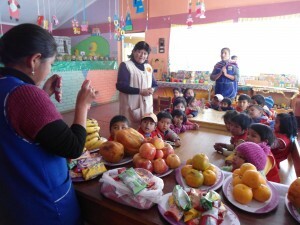 Our Bolivian partners b ring children, parents and grandparents together for training on nutrition and other topics. Parent-Teacher Associations also encourage parents to become engaged in their children’s education. Our Canada programs use cooking classes, school and community gardens, workshops and trainings to bring children, parents and elders together. For example, the Elsipogtog First Nation School has developed an “Adopt an Elder” program where each grade is matched with an elder from the community for shared teaching. CFTC also works to build greater capacity in our partners and within the communities where we work. By empowering our partners and communities through capacity building, we can help to ensure sustainable change. This is achieved, in part, through opportunities for training, workshops and shared learning. For example, in 2014 CFTC’s Canadian partners gathered in New Brunswick for the first CFTC Forum on Food Security, where they were able to participate in workshops and share best practices. Similarly, CFTC’s Bolivia partners meet annually for shared learning and networking. By building an essential link between Indigenous rights, heritage, and food security using community-led solutions, we are able to create sustainable change and empower communities to reclaim what has been lost.